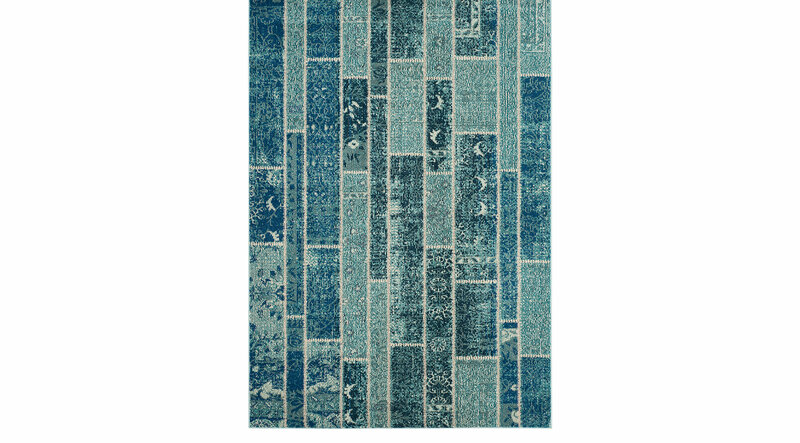 A distressed geometrical-design in blue tones makes the beauty of the Sadia rug. Featuring multiple motif patterns in contrasting hues. Hand-tufted with 100% polyester. To clean, vacuum regularly or have it professionally clean.